Notes: Nationally scarce (Nb) in fens, marshes, damp woodland and other damp areas throughout much of the British Isles, but inconspicuous and perhaps overlooked. In Hampshire and on the Isle of Wight rare and local, frequently suffering from a high degree of parasitism, and this factor may be responsible for keeping numbers in check. Wingspan 15-18 mm. 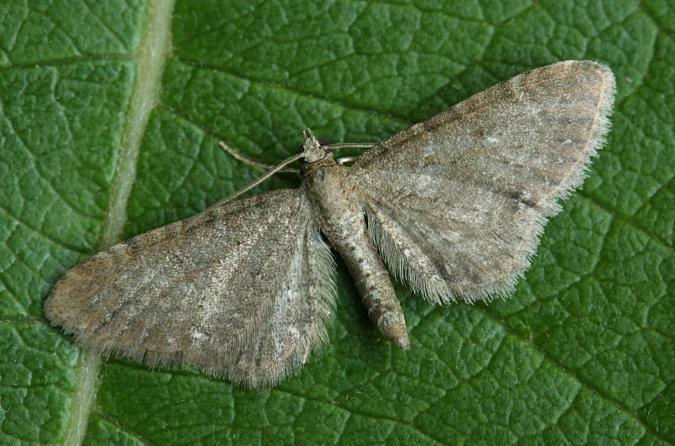 Similar to Slender Pug E. tenuiata and Lead-coloured Pug E. plumbeolata. Sometimes found as a larva, if sought in the flowerheads of the foodplant. Larva feeds on flowers and seeds of Common Valerian, over-wintering as a pupa.